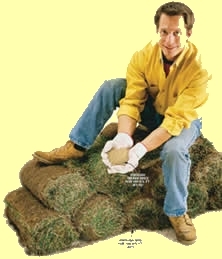 If you are looking for sod, seed, fertilizer, or other planting products check out our listings. We are also able to fill custom orders. We offer other products not listed here. In sowing grass seed, the chief aim is to provide for an even distribution of seed over the lawn area. The seed may be sown by hand, with a hand-operated seeder, or with a mechanical seeder mounted on wheels. Before you begin to sow, you'll need to know how much seed is necessary for your planned lawn. You'll want to prepare the soil for optimum growing conditions.